Well, guys, the truth is that today many of us play with the phone and sometimes a game controller makes it better, there are many bluetooth gamepads out there that works fine and then there are some incompatible too. But, introduced at CES, there is an idea, a concept that will revolutionize mobile gaming. 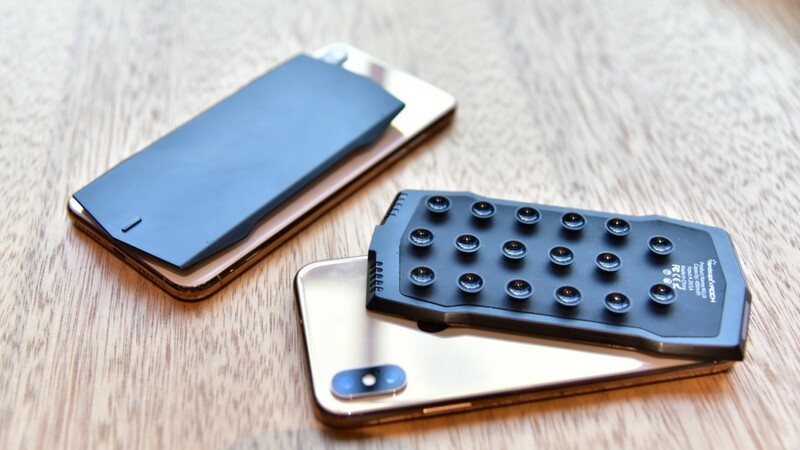 Created by Handscape, an innovative and well-known brand for gaming devices focused on phones, and which was also recognized by Wozniak, co-founder of Apple Inc., MUJA is an innovative gaming pad which was featured on crowdfunding platform Indiegogo.com as well. It is a gamepad design with the aim of revolutionizing the market. MUJA allows users to control games more easily, using only two fingers, which will allow gamers to keep long games without any inconvenience. It is compatible with the stick & play function and has an intelligent and ergonomic design, which offers a revolutionary mobile gaming experience. With features such as suction cup, touch control panel, function keys and more than 50 hours of battery life, you can play all your favorite video games anywhere. The MUJA gamepad is compatible with all 4.7-inch Android and iOS devices, including the main camera apps. MUJA applies Bluetooth 4.2 technology to offer a stable and fluid connection with the phone. It is fast with 2.5x and 4x transmission speeds in connectivity, in addition to 10x efficiency in terms of data volume and has the IPV6 energy saving protocol. The transmission range is given at a distance of up to 10 meters. There are four custom buttons on the sensitive touch panel: L1, L2, R1, R2, to configure it with different functions with the MUJA app, which allows you to customize the keys and strokes for each game. Its operation to full screen to six fingers allows you to enjoy an additional control of the game, on the front and back of the phone. It has a 450 mAh battery, which guarantees 36 hours of playing and 56 hours of standby. Thanks to its temperature control technology, it prevents the phone from getting too hot. In addition, its convenient design allows it to stay connected to the phone at all times. MUJA App integrates with all major mobile games such as PUBG mobile, Survivor Royale, Arena of Valor, Fortnite, Pokémonetc etc.